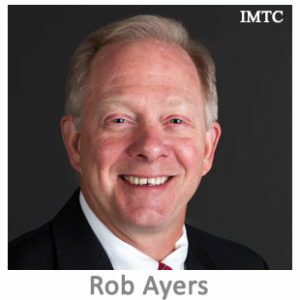 Rob Ayers is a payments and remittance veteran, with over 25 years in the industry. He has held positions with a variety of companies, from publicly-traded firms and global businesses to startups and early stage entities. He has been an executive of 3 licensed money transmitters and managed the P&L for various regions around the world. Has also run sales and marketing organizations and worked both sides of mergers and acquisitions. Citicorp: He helped develop and launch the first premium bank cards. MoneyGram: He was considered by some the “Father of MoneyGram” for his project lead role that first brought MG to market; he then held various positions, including an Executive member of the Board of Directors for the public company, 1996-1998. Travelex/Coinstar/Grupo Express: He ran the Americas for sales, marketing and business development and was part of the divestiture team when it was sold in 2011. Chartwell Compliance: As Chief Commercial Officer, he helped grow the company’s revenues substantially by signing US and foreign-based firms to long-term regulatory and state licensing projects. In 2016, Rob established Fintech-Advisors, focusing on supporting clients in the payments and remittance industries, both consumer and business to business.